As much as we try to stay in control, there are always some unanticipated events that seem to crop up. When we get caught off-guard, we react with the most emotions. One of the best ways to stay calm and logical is to reduce background psychological stress, and to never let your guard down. Trading is inherently stressful. 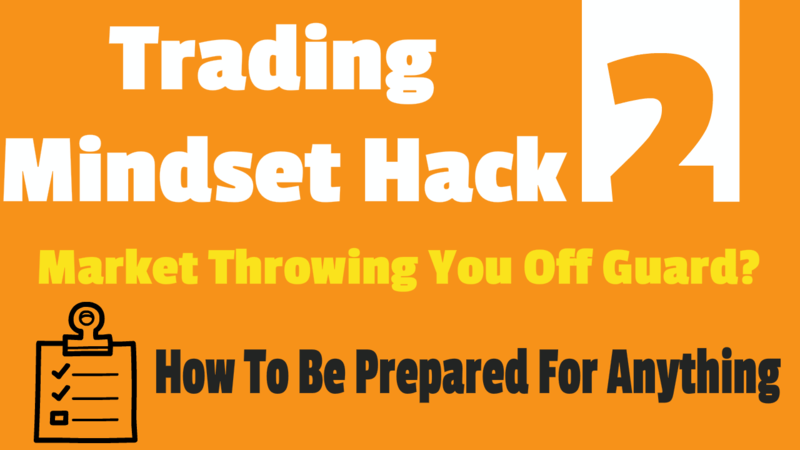 Your money is on the line and you are continually aware that you could possibly have to deal with trading losses and dings to your ego. Somehow, you have to take it all in stride and not be stunned by it all. Many people are on edge as they trade, though. They feel agitated and ill at ease. It’s a combination of dealing with background stress along with the ongoing daily stressors that are a part of trading the markets. Feeling a little flustered is a natural response. It is important that you reduce as much background stress as possible. When background stress is great, even a minor setback can set you off. Instead of flying off the handle prematurely, it’s better to reduce background stress, and thus, increase your ability to handle unanticipated events. Background emotional stress is especially great when you ignore stressful life events outside the trading arena, and hope that they will just go away if you pretend they aren’t there. If you are overly concerned with stressful life events, such as a death of a parent, moving to a new home, or problems with your spouse, you’ll use up precious psychological energy trying to cope with these issues. And when you have limited energy for trading, you’ll have difficulty controlling your emotions. Emotion control and discipline take energy, and you must do everything you can to preserve the limited energy you have available. Don’t underestimate the powerful influence stressful events can have on your life. If you are under extreme stress, take a break from trading until you resolve long-term stressful events. Another effective way to reduce background emotional stress is to make your trading environment as stress-free as possible. For example, it is essential to use proper risk management. If you risk money you can’t afford to lose, or risk too much of it, you’ll feel the pressure and that will increase background stress. On the other hand, if you minimize the amount of money you risk on a trade, you’ll be able to tell yourself that the actual downside is bearable. You’ll know you can easily survive the worst-case scenario, and that will help you feel more comfortable. It’s also vital to have a detailed trading plan with clearly specified strategies for how you will enter and exit each trade. It’s also useful to place a protective stop so that you can feel a strong sense of security should the markets move against you. Taking specific precautions to gain as much control of the trading environment as possible will reduce your overall feelings of stress. In addition to managing background stress, it is also important to anticipate as many possible adverse events as possible. It’s impossible to anticipate everything that can go wrong, but the more you can specify what can go wrong, and have a plan to deal with it, the more you’ll be able to handle the event when it happens. For example, be aware that earnings reports, rate hikes, or major political events can impact the markets and ruin your trading plan. If you get caught off guard, you may not handle the situation very well. You may get overly angry or frustrated, and act on impulse, rather than calmly and rationally. But if you decide beforehand how you will deal with the event, you’ll react more decisively. For example, you may decide to just close out the position on the first sign of an adverse event, rather than hesitate, deny that something has gone wrong, and hope that it will all work out in the end. It usually doesn’t go aware, however. It usually just gets worse. Similarly, if your DSL line goes down, and you don’t have a backup plan, you may panic. But if you anticipate the potential problem, you can react quickly and effortlessly. For example, you can just use a dial-up connection or call your broker. By being on-guard and ready to take action, you can get through unanticipated adverse events without getting bogged down by them.